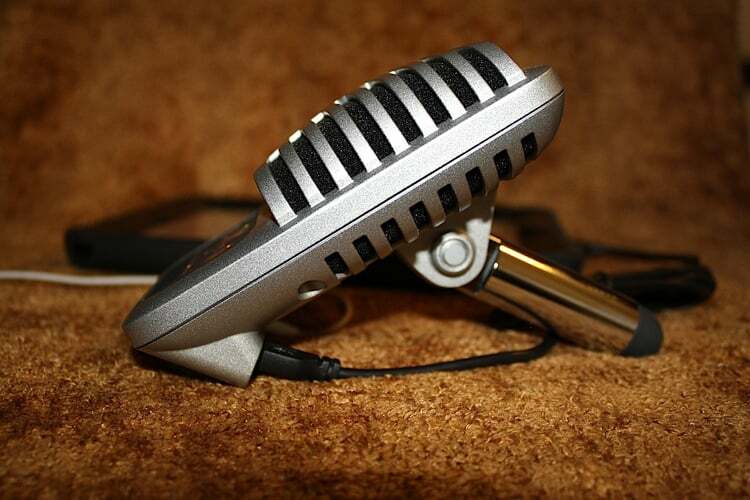 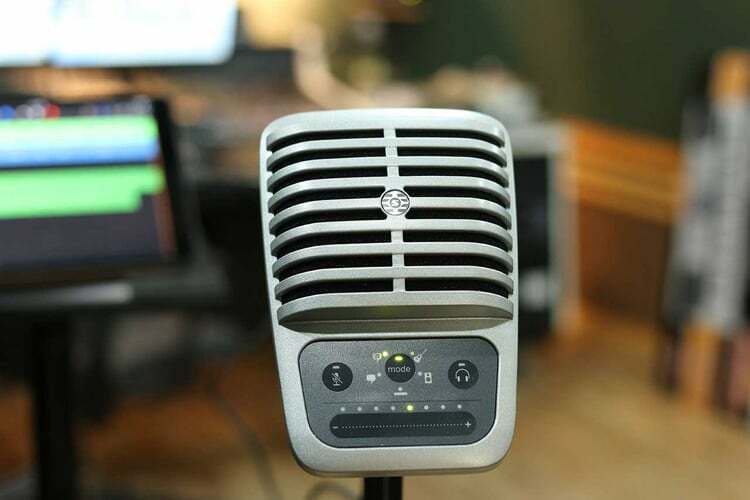 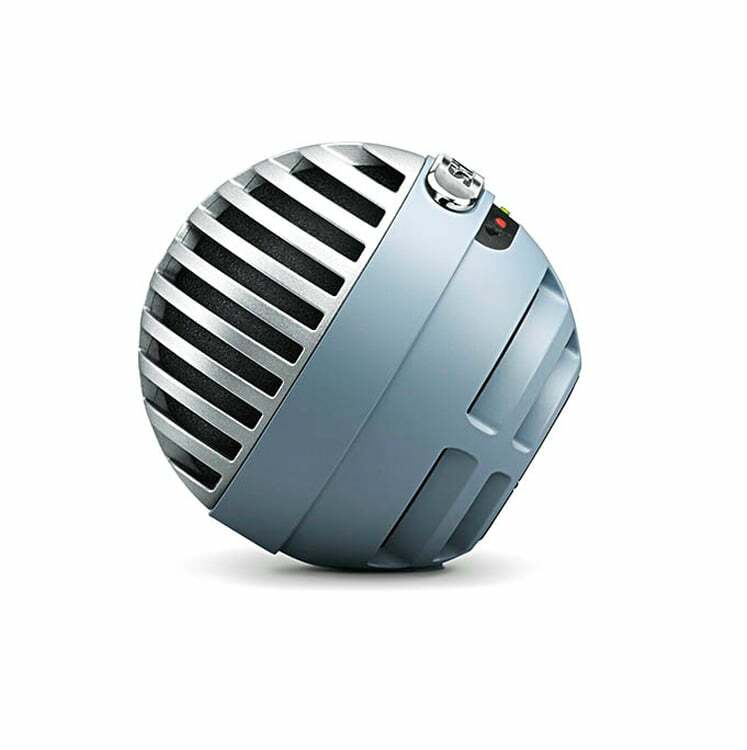 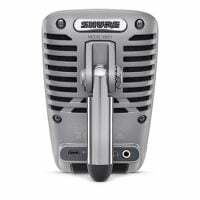 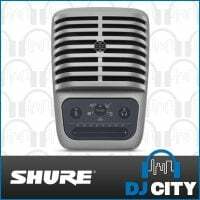 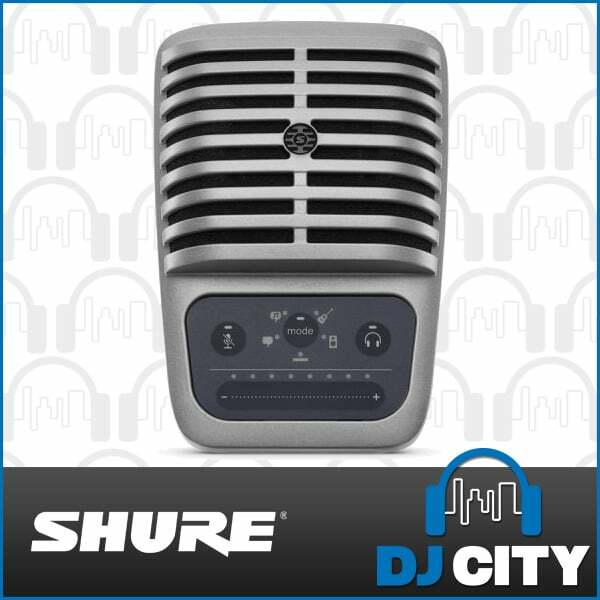 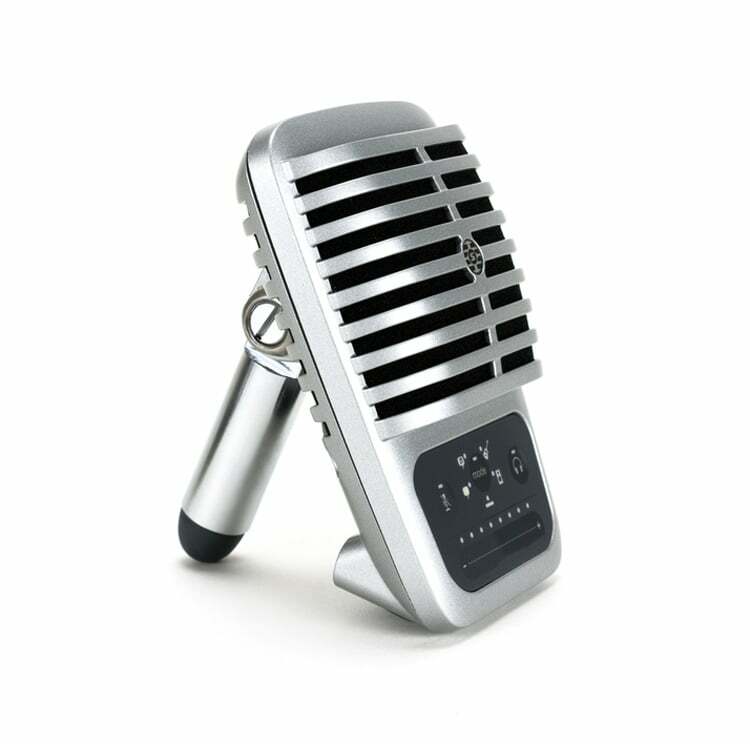 The Shure Motiv MV51 is a portable large-diaphragm digital condenser microphone with detachable desktop kickstand. 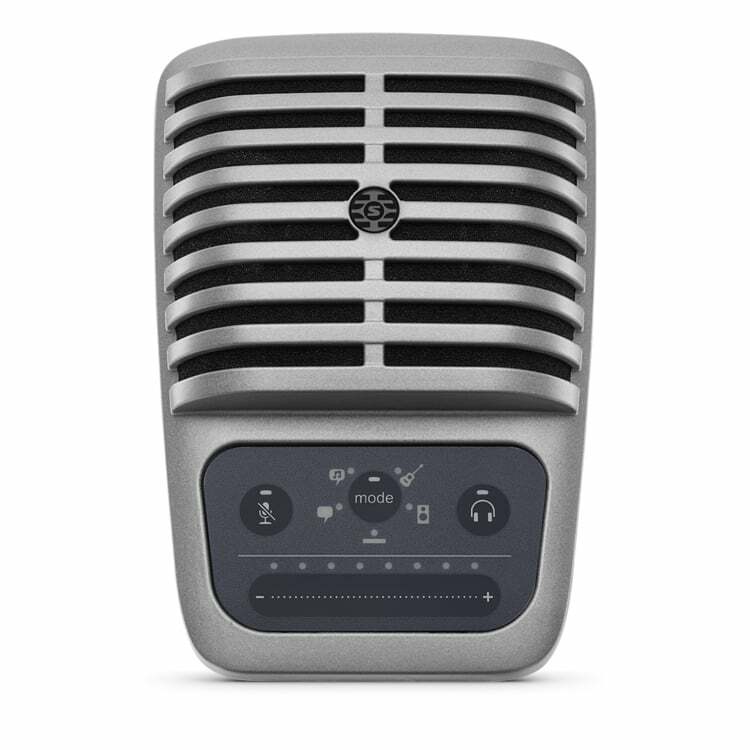 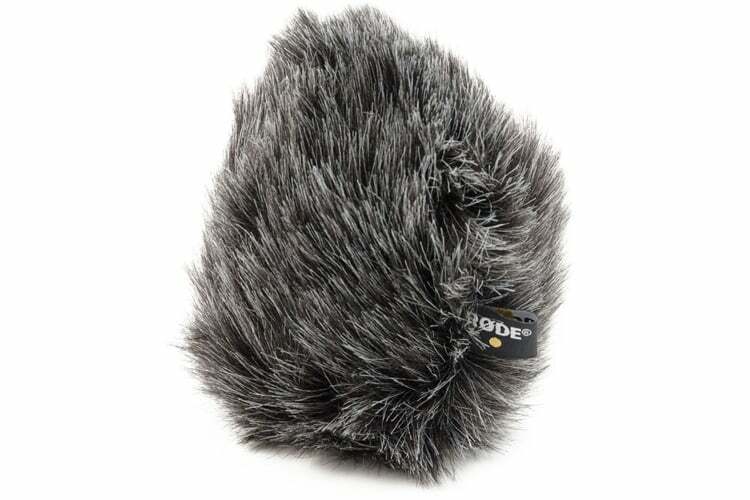 Designed to deliver high quality sound for your home studio recordings, video conferencing, and podcasts with built in A/D converter that delivers the audio directly to your Mac or Windows computers, iOS or Android device. 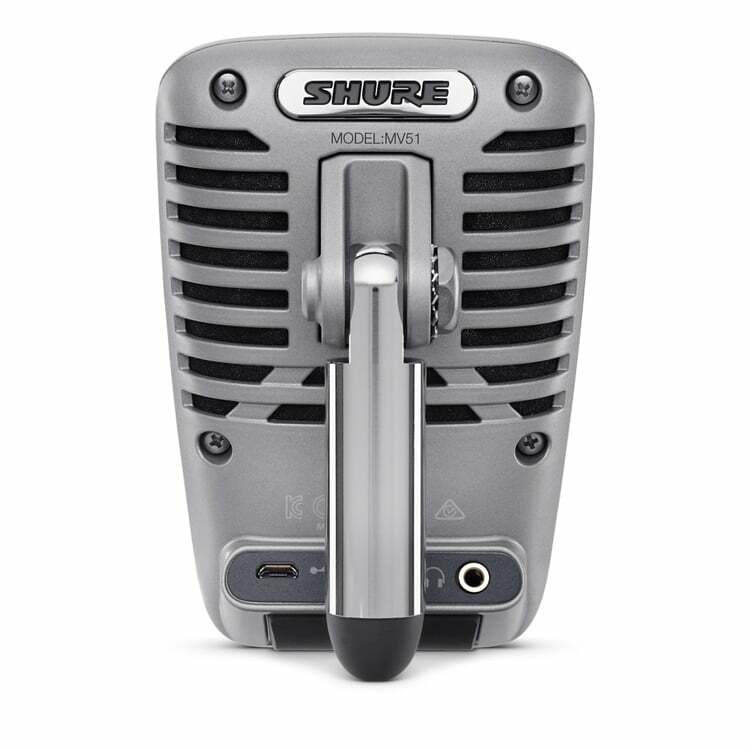 Compatible with most recording software and apps including Ableton, Cubase, Logic, and Garage band to name a few. 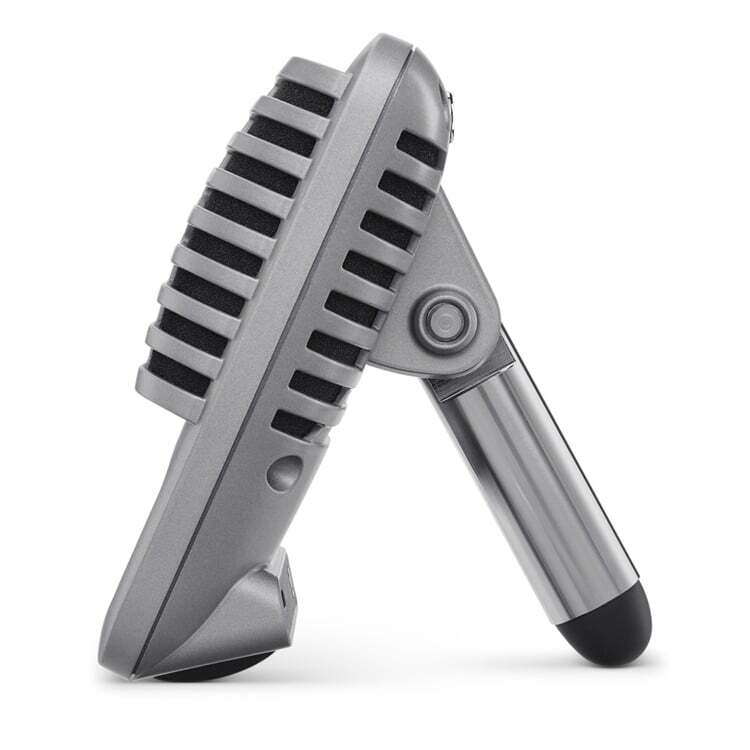 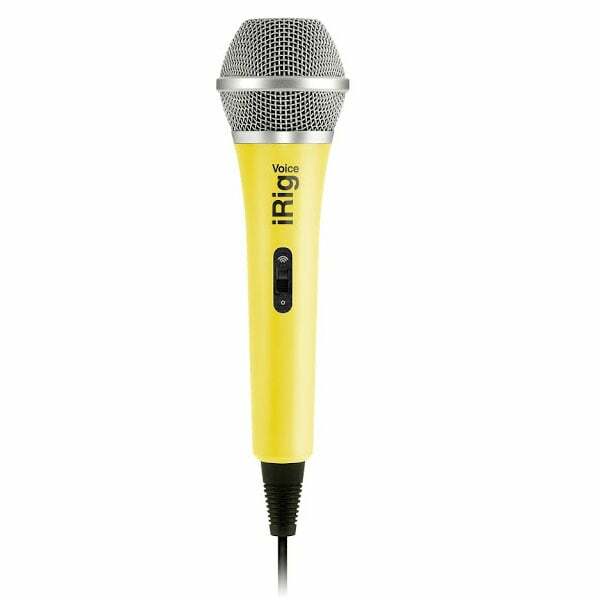 The MV51 digital microphone features a low-profile design and allows you to monitor in real time via its integrated headphone output jack. It is built with an integrated thread mount that is compatible with any 5/8″ standard microphone stand. 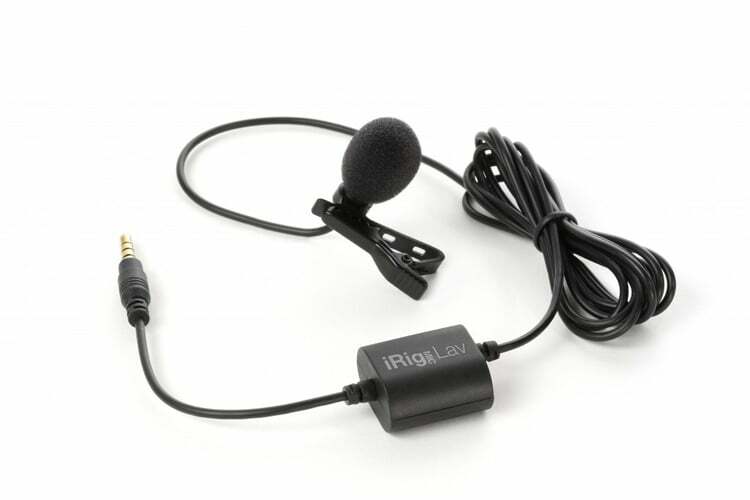 The following cables are also included: a Micro-B-to USB cable, and a Lightning cable.